TWW - The 12th Annual TWW Easter Egg Hunt!!! Stories » The 12th Annual TWW Easter Egg Hunt!!! The 12th Annual TWW Easter Egg Hunt!!! It's time for the 12th Annual TWW Easter Egg Hunt! The contest will start on Wednesday April 3 at 5:00 PM and will end on Thursday April 4 at 5:00 PM. The winner will receive a full year’s premium subscription! 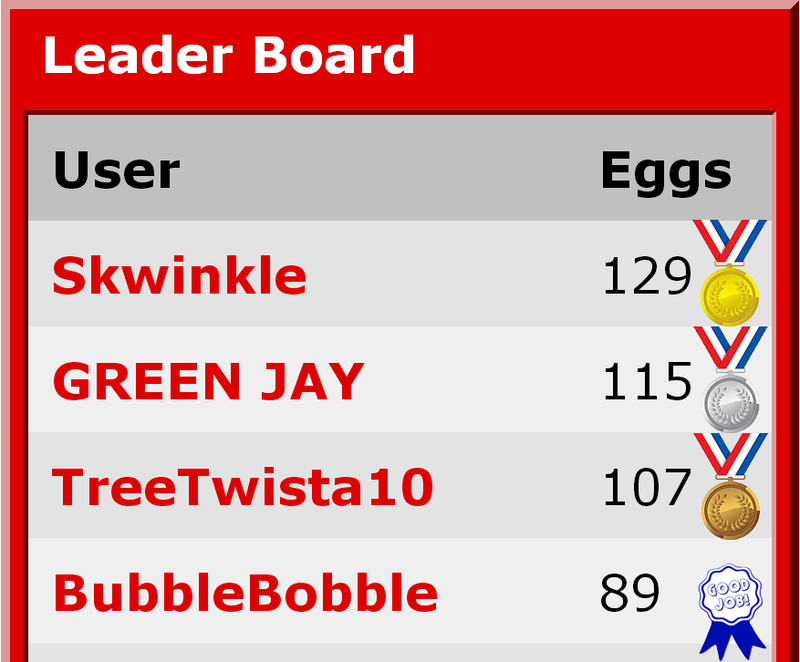 UPDATE: Congrats to 2013 Egg Hunt Champion Skwinkle. See you next year! weekends are the lowest traffic on the site. during the week is when 30 year olds sit at their desk at work and browse the internets between filing their TPS reports. wait is BubbleBobble going to be suspended during the hunt? I will laugh so much. please say yes. Having him spam on here for 24 hours during the hunt basically undoes suspending him and you KNOW thats exactly what will happen. dammit ken, everyone knows that the contest is won overnight. Looking like [user]Swinkle[/user]'s bout got this thing sewed up. ^Participation award. Herb Sendek with an egg!